Vid. 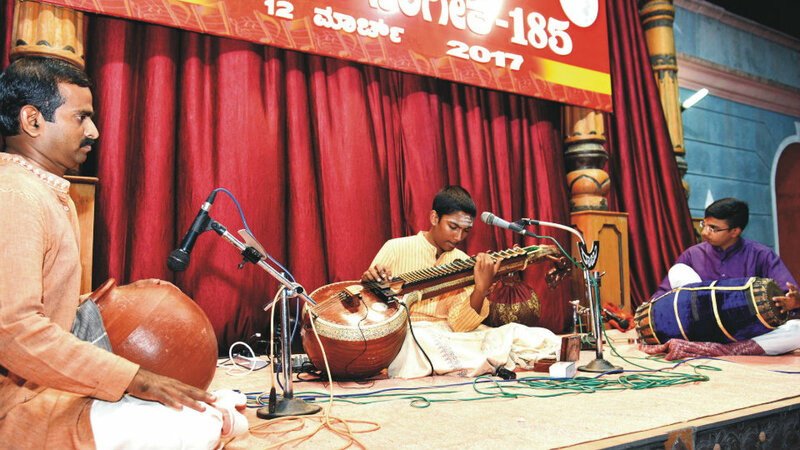 Ramana Balachandran is seen presenting a veena concert at Suttur Mutt in city yesterday as part of its monthly moonlight music programme. 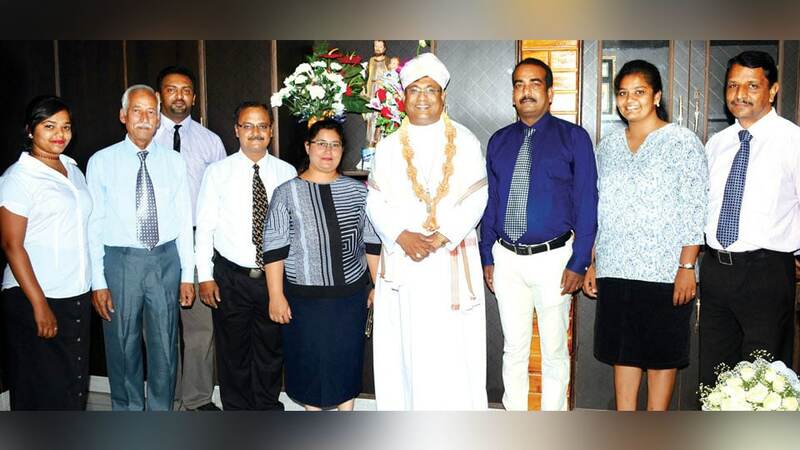 He is accompanied by S. Manjunath on ghata and Vid. 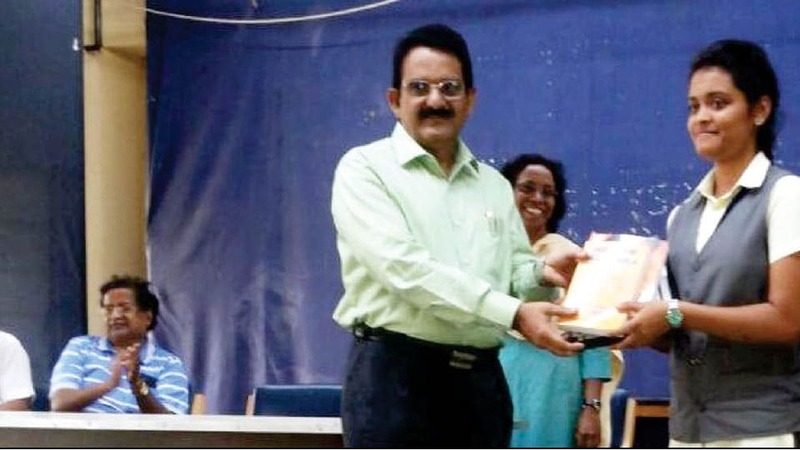 Akshay Anand on mridanga. 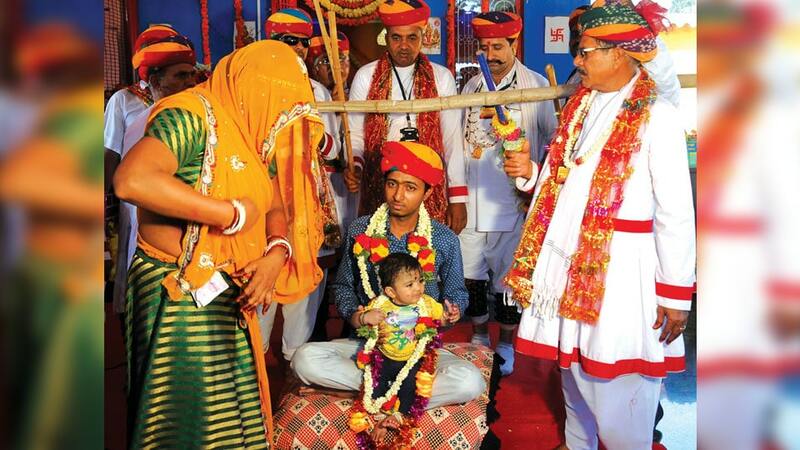 As part of Holi celebrations, a woman belonging to Seervi Samaj is seen performing a ritual in front a temple located at Seervi Samaj on KRS Main Road in Gokulam to bless the young child for a long life. Seervi Samaj conducts this ritual on every Holi. 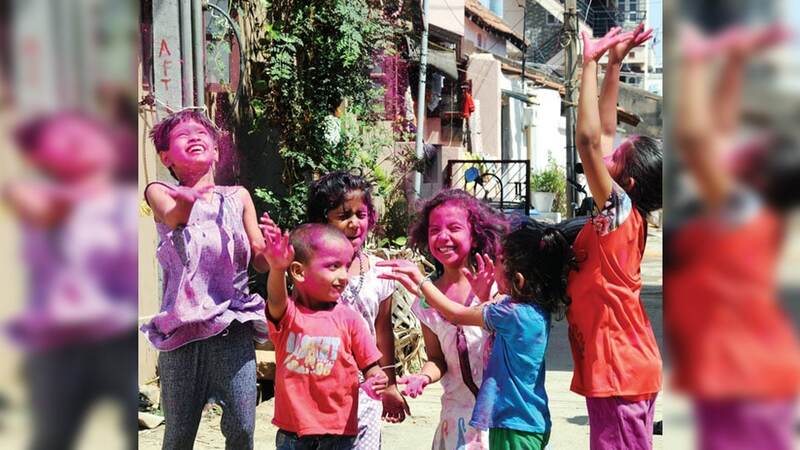 With Holi, the festival of colours being celebrated today and tomorrow across the country, children are seen playing with colours at Lourdnagar in Lashkar Mohalla here this morning. Kamsale artistes are seen performing during the procession taken out as part of Sri Nanjundeshwara Rathotsava this morning in city. 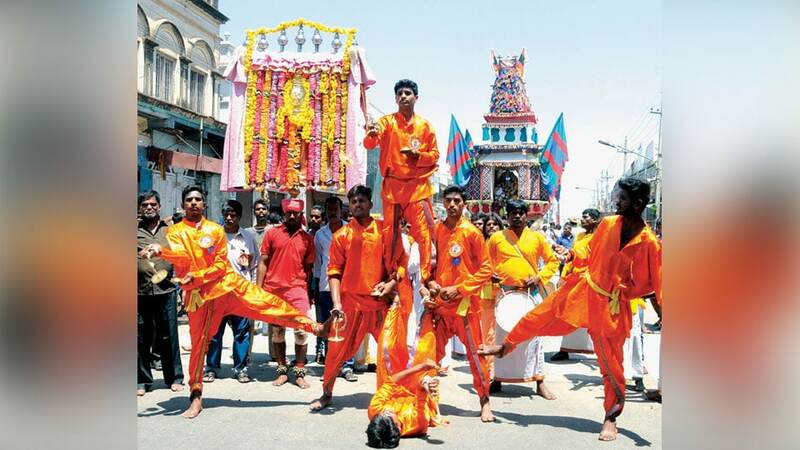 The procession, accompanied with various folk troupes, which began from Sri Prasanna Nanjundeshwara Temple in Old Santhepet, passed through the thoroughfares of city during which buttermilk and panaka were distributed to the public. 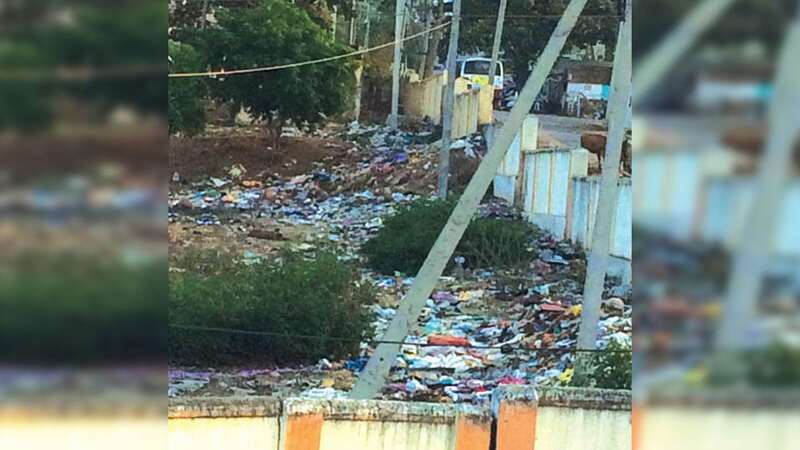 Piles of garbage is being dumped near KEB Office in Gayathripuram 2nd Stage which is spoiling the environment. Repeated pleas to stop the dumping have fallen on deaf ears. 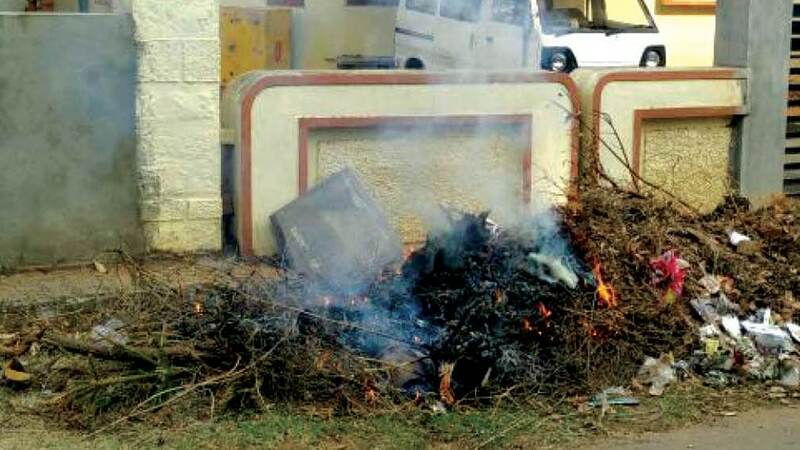 Authorities concerned are urged to get the garbage cleared and penalise those dumping garbage in public places.